Very few Indians are aware that one of the most interesting studies on wildlife has been carried at the Indian Statistical Institute – on pheromones (chemical messengers) present in the urine or marking fluid of tigers. This study, a seminal one in understanding how animals communicate, has been spearheaded by Professor Ratan Lal Brahmachary, who is a distinguished visiting professor at Indian Statistical Institute and a colleague of the famous wildlife biologist, George Schaller. What is remarkable is that this research was initiated with a direct interest of the former Prime Minister Indira Gandhi, during her visit to the Indian Statistical Institute during their golden jubilee celebrations on 29 December, 1981. Professor Brahmachary was seeking assistance in his research and wanted a tiger cub to conduct his studies. Gandhi listened to him and remarked with a smile, “So you want the tigers?” This is how a 50 year long scientific quest was born. This is just one story that adorns ‘Indira Gandhi: A Life In Nature’, the fascinating biography of the former Prime Minister by former environment minister, Jairam Ramesh. The biography is a unique attempt to place on record the environmental mission of India’s Iron Lady. While her political positions have been admired and reviled on countless occasions, what has remained underappreciated is her contribution to preserving India’s flora and fauna and her endeavor to save the environment at a time when conservation and environmentalism were not household concepts. 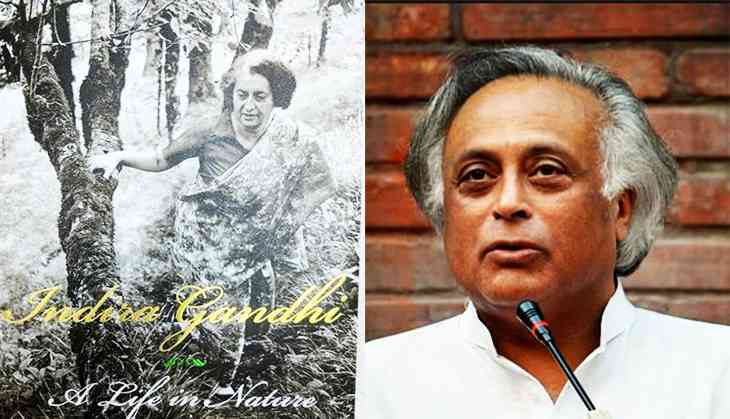 In this regard, Jairam Ramesh’s biography places Indira Gandhi as a true pioneer in environmental conservation, from her institution of the Wildlife Protection Act of 1972 to starting Project Tiger in 1973 and her initiation of the Forest Conservation Act in 1980. Her range of environmental interests, as the book elaborates, was immense, ranging from the protection of the Hangul deer in Kashmir to enjoying the beauty of birds in their natural habitat and expressing the need for a specialist wildlife research institute to understanding that proximity to nature makes one a more integrated personality. Indira Gandhi’s correspondence with the founder of World Wildlife Fund, Sir Peter Scott, set the road for the beginning of the Pygmy Hog project supported by the Durrell Wildlife Conservation Trust. With the keen involvement of Gerald Durrell in the whole scheme, the Pygmy Hog project has been one of India’s major conservation successes, with more than one hundred animals having been released to the wild from captivity. Today awareness on environment is more than ever before, with climate change and carbon footprint having become buzzwords. Way back in 1972, during the United Nations Conference on the Environment, Indira Gandhi had made a memorable speech to safeguard the environment whilst tackling the needs of the poor. The book is extremely well researched, drawing on many references, some of them never revealed before and Jairam Ramesh shows that although Indira Gandhi always walked the tightrope between what is fashionably described the ‘development versus environmentalism’ debate, she recognised the intrinsic value and beauty of nature that was instilled in her as a child. Having grown up in a house full of animals, both wild and domestic, that were pets of her father, Indira Gandhi developed affection for non-human denizens of our planet. This became very evident in the evolution of her views on keeping animals in captivity as revealed in the book : “As a child I loved zoos. Later it made me sad that creatures which had roamed so freely and proudly in the jungle should be forced to pace up and down narrow cages. In India, children and adults too sometimes harass and harm animals in zoos and outside. Zoos must help teach people to know animals and to love them ; to reverse the trend towards destruction and to give a fair chance to wildlife.’ – Indira Gandhi to Calcutta Zoological Gardens, 12 September, 1974, on the occasion of the centenary of Alipore Zoo, Kolkata. (Page 208 and 209, Indira Gandhi : A Life In Nature by Jairam Ramesh) The quote serves as a good reminder to all of us in case we consider it a given to gawk at caged animals in zoos without a thought. If the former Prime Minister could rethink her stance on zoos and animals in captivity, we can read the book, take a leaf out of it and do the same.